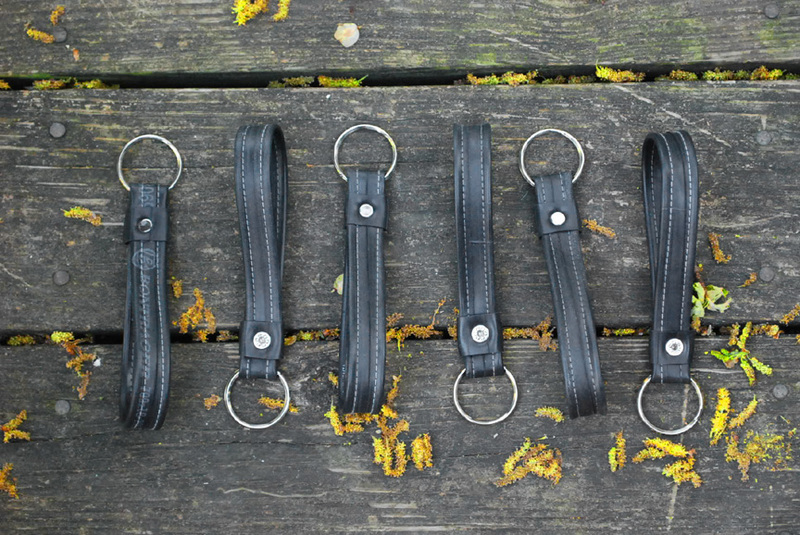 Key Fob Wristlet Key Ring – InnerTube Style! 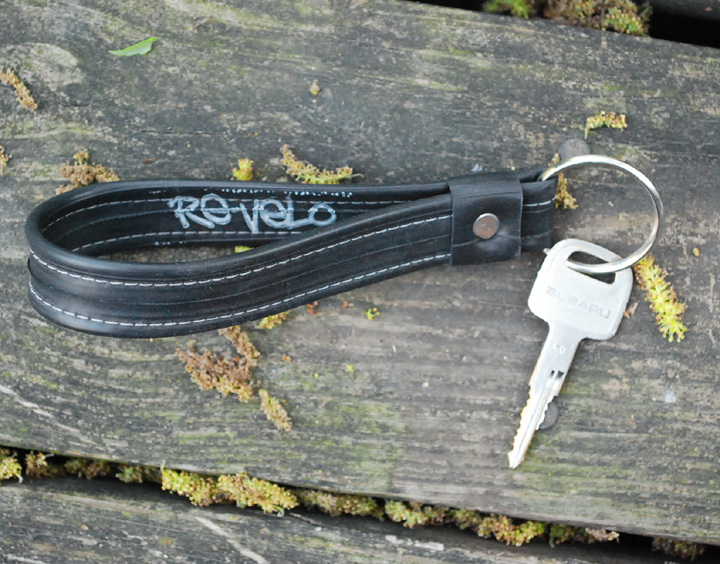 I now have keychain key fob wristlet key rings in the Re-Velo line. I never know quite what to call them. You may have noticed that. They are made from a strip of bike inner tube that I sewed with contrasting stitching. I used a 1 1/4″ split key ring (room for plenty o’ room for keys and grocery store, pet store cards) and I put it all together (OK, I hammered it with conviction) with a metal rivet and washer. The strap is plenty big for your wrist. It’s approximately 10 inches in circumference.